Hello, I am Mrs. Gilbreath from Grand Saline ISD, 2nd grade. for the poster contest. Could you help me locate where to see them on the internet. checking too soon. I would also like to thank your team for all they do to help schools. I just spoke to Denise Stone with Canton ISD and she sang your praises for the support, knowledge and swift action to help when they call. I told her I would pass this along to all of you. It is great that you all have been able to build this type of supportive relationship with this large district physically located within Region 7 boundaries; however, several years ago they opted to join with Region 10. Thye have stayed with Region 7 for TxEIS support for both business and student. I expressed to her our gratitude for them making the choice to allow us to serve them in this capacity. Canton ISD is going to consider the Remote Update Service for the new year and asking questions and getting information about this service was the purpose of her call today. The compliments are just an added bonus! Great job to all. Thank you so much for coming to our campus and seeing where we are and how far we have to go to create positive discipline and systems and procedures at Johnston-McQueen. I hope that your team will allow you to do the break-out training on May 18th that you proposed… Thanks again for spending time with me and time observing last week. You will find attached the new district discipline plan. Looking for a gift for your Mom for Mother’s Day? 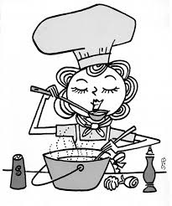 An AEOP Cookbook is a great gift for Moms. Cost is $15. Please make check payable to AEOP. Please contact Linda Johnson x 6927 by May 5th to order. Thanks for supporting AEOP. Please be careful in the parking lot! We will have students here this week! You know what it is when you get it -- so give back the same thing -- or more. The simple secret is -- don't give any feeling to others that you wouldn't want to feel. You know when you're doing a good job, you can feel it. You also know when you're doing your BEST. It's an inside feeling of YES! It's only possible to get that feeling when you're concentrating on building a better self. A better YOU. It takes a daily self-discipline and re-dedication to your positive attitude every morning. It's study, it's reading. It's spending quality time building the character of the most important person in the world. But it's worth it -- I promise. How do you feel on the inside after each customer interaction? Service is a feeling and you know what it is -- whether it's good or bad. If you can't remember what "bad" feels like, call the DMV, IRS, or Social Security. That's bad. Then call L.L. Bean -- that's good. See the difference? Remember how you felt the last time you got great service? Target five great customers and create a simple plan to make them feel GREAT. 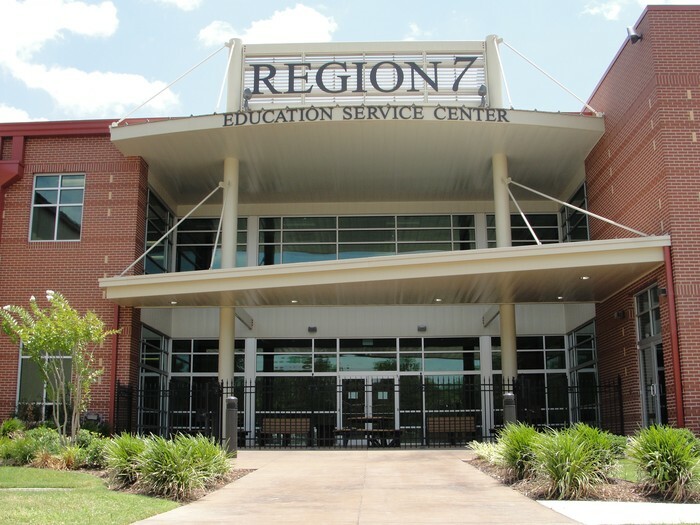 "Region 7 Education Service Center is committed to district, charter, and student success by providing quality programs and services that meet or exceed our customers' expectations."